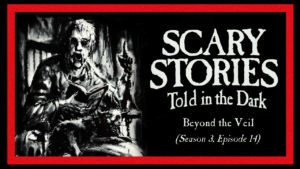 In this 21st episode of Horror Hill, we bring you chapters 26-31 – and the thrilling conclusion – of best selling author Drew Stepek‘s award winning novel Knuckle Supper, performed by host and narrator Jason Hill. If you’re just joining us this week, we encourage you to begin your journey with Season 1, Episode 16, which features the first 5 chapters of the series. Jason – I remained completely engrossed by your Knuckle Supper saga. That was hours and hours well spent on my commute to work each day. Please consider telling more of those long serial tales. Especially if they are as creative and compelling as Knuckle Supper.